The cold season is right around the corner. It is now time to begin thinking about the steps needed to prepare your greenery or nursery to survive. Some of the most damaging elements your plants can endure are cold, dry winds, as well as snow and salt. 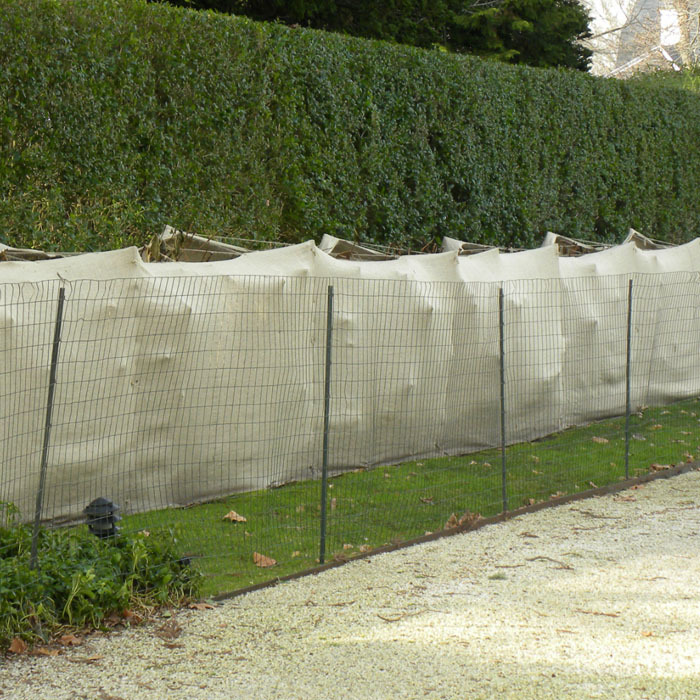 Protecting them with a screen of burlap to create a windbreak can make a huge difference in their survival. 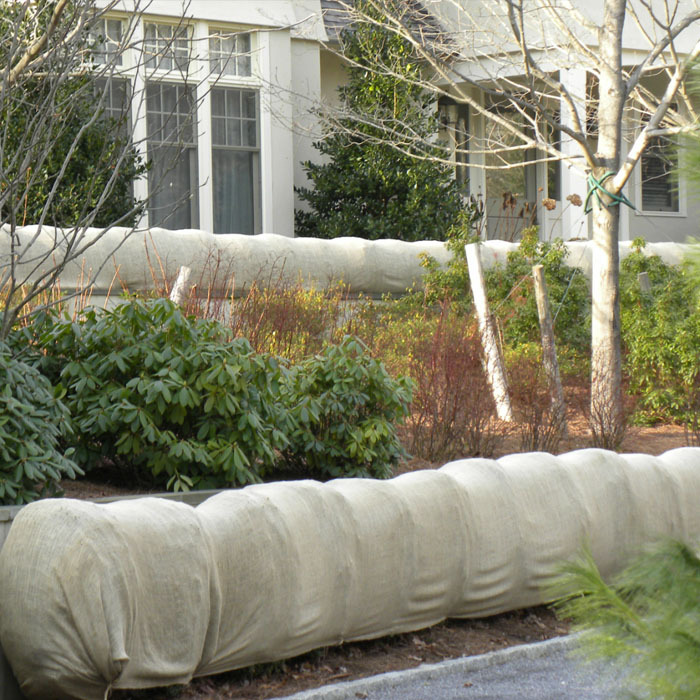 Below are some tips for using Burlap windbreak to help protect your plants from Mother Nature’s elements this winter. The way winds cause damage is by blowing the moisture out of the stems of the plants. 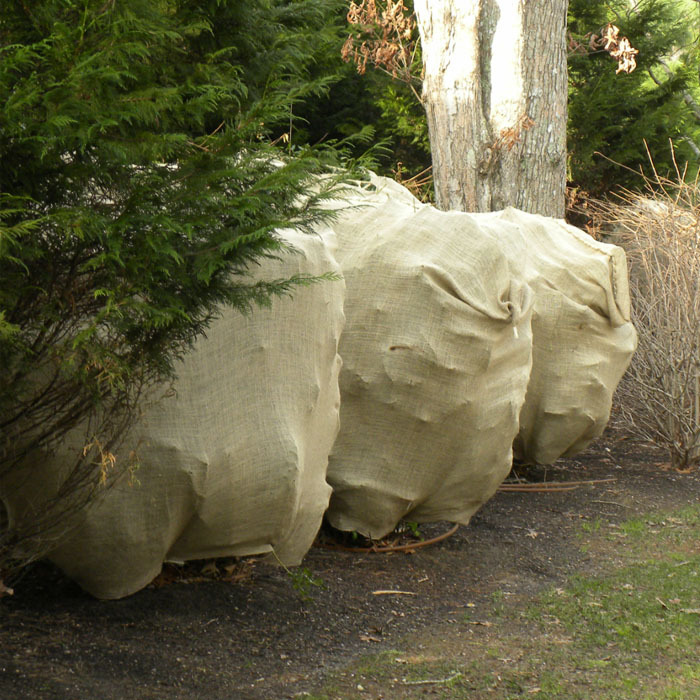 Burlap plays the role of a windbreak that will help protect your plants from drying out. Using bamboo, fiberglass or metal stakes to support the burlap windbreak, drive the stakes into the ground around the plants you want protected. Set the stakes about 2-8 inches away from the plant, and make sure they are driven deep enough into the ground. Attach your burlap windbreak to the stakes, and run it the full height of the plant. 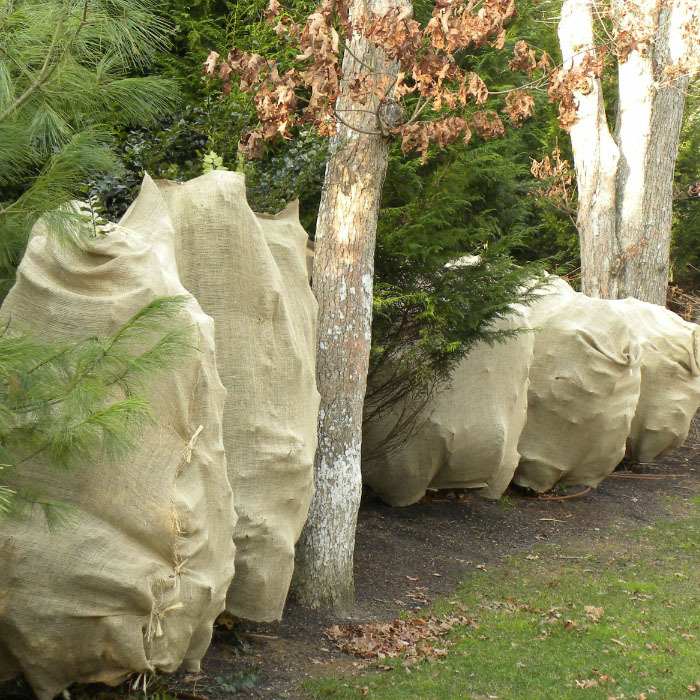 For your taller plants, more burlap may be necessary to allow the windbreak to cover the full height of the plant. 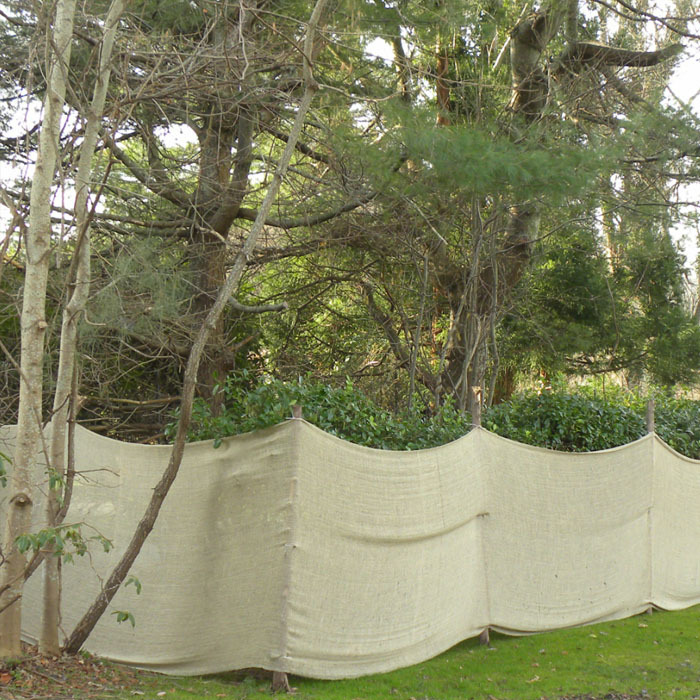 Depending on your climate, generally a good time to put up your burlap windbreak is between Thanksgiving and early December when the ground has not frozen. Once the ground freezes, the stakes are a lot tougher to drive in. Take note of areas that are exposed to tougher winds such as hills and areas with wide openings from cover like trees. 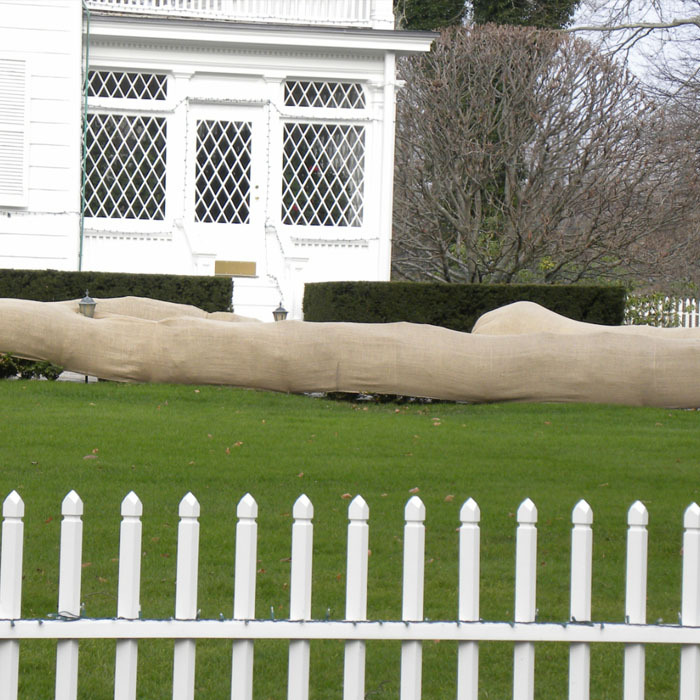 In this scenario, a second layer of burlap can be used for better wind protection. It is always a good idea to overprotect your plants. Be prepared for heavy snow and salt. Don't forget about your plants closer to the road, especially evergreens. 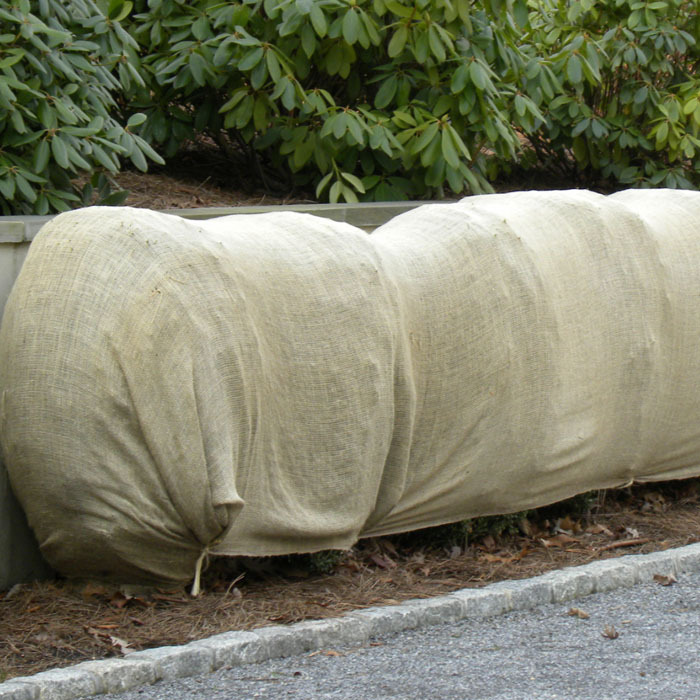 Using a burlap windbreak can help protect your plants from salt spray and salt runoff, as well as snowdrifts and snow from plows. Burlap windbreak is also very useful in keeping deer and other pesky animals from getting to your plants and damaging them. Also, it is a good idea to add a layer of mulch, a few inches thick, to the plant beds to help insulate the roots. This will help relieve the tugging of the roots during the freeze and thaw cycles during winter. We hope these tips will help you maintain a thriving landscape or nursery during the harsh months of winter. 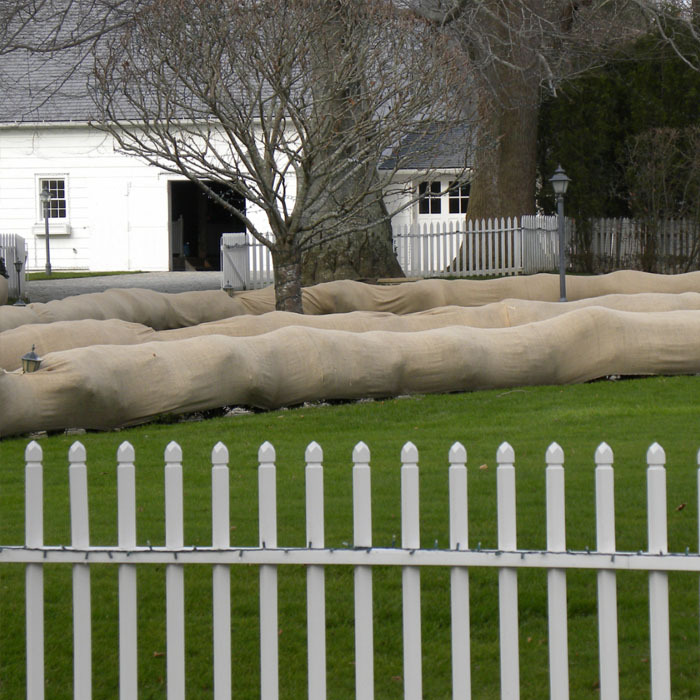 Contact us with any product questions you may have, be sure to check out our burlap windbreak and get your landscaping protected before it is too late!